The Morrison Government today announced it will improve the protection of Australian troops through the purchase of a new short-range air defence capability using Australian designed and built radars and vehicles. “Australian industry will secure more than $1 billion of the total investment in acquiring and maintaining the short-range air defence capability,” Minister Reynolds said. Today Raytheon Australia and Kongsberg Defence & Aerospace (Kongsberg) joined Defence Minister, the Hon. Christopher Pyne and South Australian Premier, the Hon. 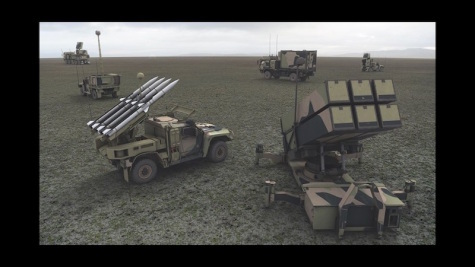 Steven Marshall, to announce that the National Advanced Surface to Air Missile System, NASAMS, was selected for the Australian Government’s Short-Range Ground Based Air Defence program known as LAND19 Phase 7B. Kongsberg is a subcontractor to Raytheon Australia. NASAMS was in 2017 chosen for a Single Supplier Limited Tender process and has gone through a Risk Mitigation Activity, and subsequently passed Government approval marked at today’s event in Adelaide. NASAMS is a fully networked and distributed system allowing the Australian Army to counter complex air threats beyond visual range and, considerably increase protection of Australian soldiers. Kongsberg is an international, knowledge-based group delivering high technology systems and solutions to clients within the oil and gas industry, merchant marine, defence and aerospace. Kongsberg has 7,000 employees located in more than 25 countries and total revenues of NOK 14.4 billion in 2018.